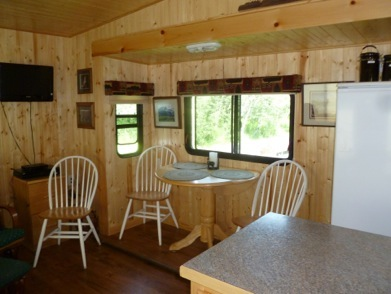 Stay in a 5th Wheel "Cabin" while visiting Glacier National Park. 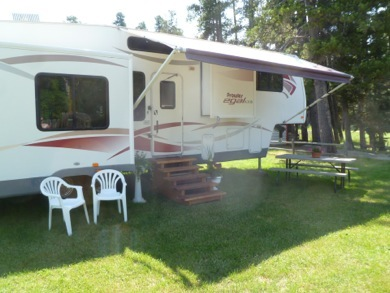 The Cabin has a kitchenette, dining and living area, bath with shower, and king size bed. We are located one block off Highway 49 in East Glacier Park, Montana. Turn right on 1st Street, then left on 2nd Avenue.